If you were to search on Google for any local business near you, you will notice that there is a section on the search engine that will show 3 Google Map listings. If you claim your Google My Business listing for your appliance repair company and get that listing to rank at the top of Google Maps, this will significantly increase the amount of local consumers to find your business when they are looking for appliance service company. 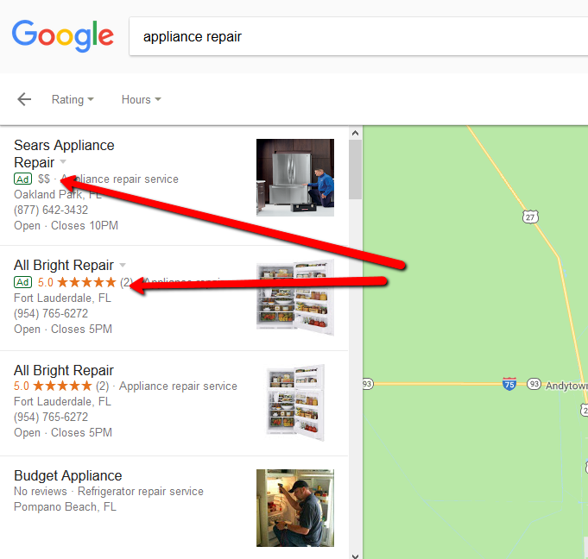 In this article, we discuss the 3 most important factors that you need to do in order to get your appliance repair business ranked at the top of Google Maps. 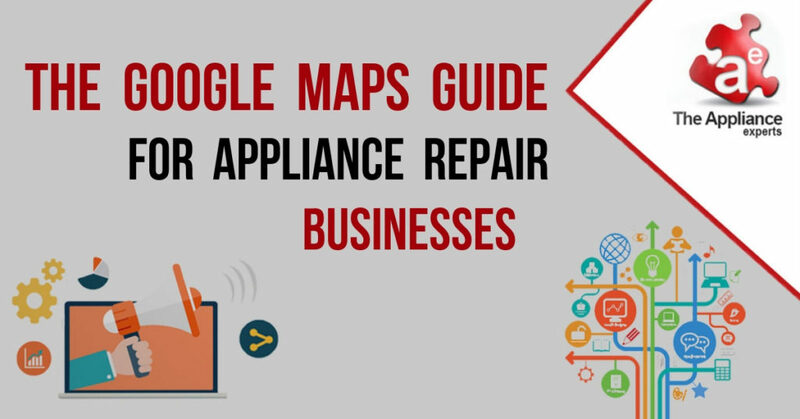 Today we’re going to go over the Google Maps Guide For Appliance Repair Businesses. And we’re going to discuss some tools that you can use to systematize and automate the heavy lifting when it comes to managing and optimizing your Google Maps. 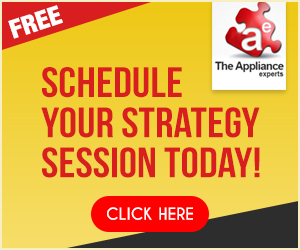 Why Is Google Maps Important For Appliance Service Companies That Want More Appliance Job Leads? 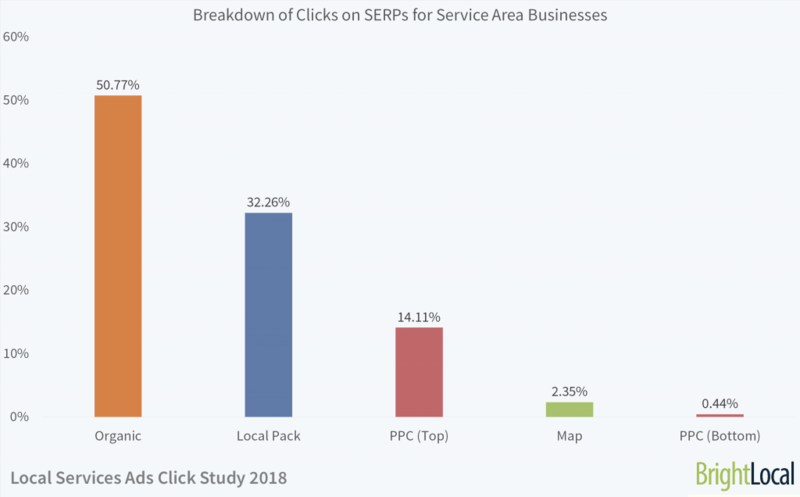 The image below is from a study done by Bright Local earlier in 2018, that shows which sections of the Google Search Engine Results Page gets the most clicks from consumers. As you can see, the organic results are somewhere about 50 percent of the traffic or the consumers that search for a local business are clicking. You may have heard rumors that SEO is dead, or Search Engine Optimization is not working any more. SEO is how you can get your appliance repair business to show up in the organic results which currently is getting the majority of clicks from consumers. The next most popular section to get leads from would be the local pack or the local map pack that’s delivering 32 percent of clicks. And then the pay per click ads at the top of the search engine results page, that’s at 14%. The map results are just above 2%. Now, the map results that we’re talking about here, is not the local 3 pack, but instead it is if a consumer goes directly to Google’s Map page. The PPC ads at the bottom is less than 1%. Google maps is important because it’s the second biggest driver of appliance repair job leads for appliance service companies. The Google Local Pack used to display 7 appliance repair companies, now only 3 companies are being displayed. Google is basically making more room for ads, since that is where they make majority of their money. Now, just to give you a visual of how the search engine results page has changed over the years. On the left side of the image is what it used to look like, where they had the ads at the top and along the right side, then you have the organic results, and in that area highlighted in green, used to be the 7 pack. The image on the right is more similar to what it looks like today, where you have the ads at the top and then the maps. So there are no longer the organic results in between the ads and the map section. As you can see the map listings have been reduced from 7 to 3 listings, which is most commonly known today in the online marketing space as the 3 pack. There’s a big opportunity for you if you’re one of those appliance repair companies that show up in the 3 pack. If you were in the original 7 pack, then once Google reduced the listings to 3, you probably have seen a reduction in your leads. 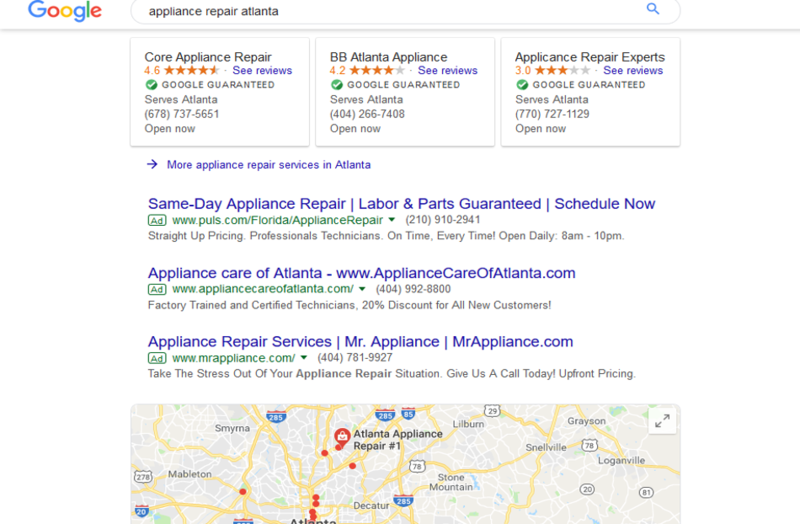 Google has also started showing ads in the map results, so not just only on the regular google search engine results page, and now they’re also testing home service ads in major metropolitan areas like Atlanta, Dallas and multiple cities within California. If you wanted to join their new home services program, you would have to go through a verification process, which is very similar to the HomeAdvisor type of setup. Google’s Home Service Ads show at the very top, then the regular ads and then the google maps. The home service ads are set up as a lead generation type of format, where you don’t pay each time someone clicks on the Ad, but instead you pay per call. This is Google’s way to entering the appliance repair lead generation space and competing with big name lead generation companies like Angie’s List and HomeAdvisor. As part of the verification process to participate in the Google Home Services. They are going to do a background check, provide proof of licenses and insurance. It’s currently not offered nationwide yet, but so far, they are having success so if it’s not offered in your service area yet, it should be soon. Home Service Ad creates more of an opportunity for you to dominate the first page results on Google. Now when you get into the organic search results, there is even more opportunity, because you could even have multiple listings there along with your appliance repair website. You could have your yelp listing showing up there, and any other directory site such as Yellow Pages and Angie’s List. These changes by Google provide more opportunity for appliance service businesses to dominate their local service area. 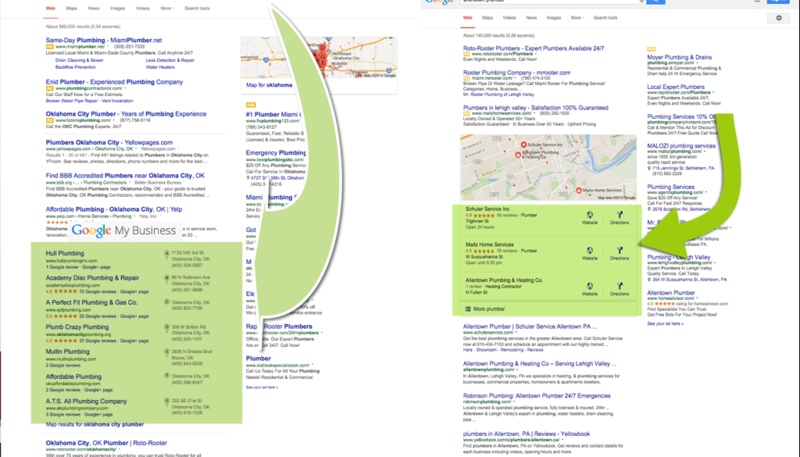 Can’t Seem To Get Your Google Map Listing To Rank Higher? Let’s talk about what could be hurting your google maps rankings. Maybe you already claimed your Google maps listing, but for some reason you just can’t get it to show up in the top 3 results for the Google maps listings. The first problem we will discuss is that you may have an inconsistent name, address, and phone number profile across the different citation websites. And when you hear me reference citations, what I’m talking about are basically directory websites, such as Yellow Pages, Angie’s List and Yelp. These are all examples of what citations are, and there are hundreds of them that you can get your local appliance repair company listed on. Your appliance repair company may already be listed on a few hundred citations that you are not even aware of because some of these citations or directory websites use software to collect information on the web. So without your knowledge or permission there may already be a listing of your company on these sites. If you have inconsistencies with your name, address, phone number, profiles, which could be caused if you’ve ever changed any of these things over the years, they could be hurting your map ranking. The next thing is that Google has started to crack down on companies that use their main keyword as their company name instead of their real business name. Let’s say your real company name is John’s Appliance, but you used Appliance Repair San Diego as your company name because that was a strategy a few years ago, to get into the top rankings on Google maps. They’re starting to crack down on listings like these that have keywords as company names. If you have that type of situation, you may want to consider changing it to your registered company business name. The next thing is that you want to see if you have enough reviews across the web. 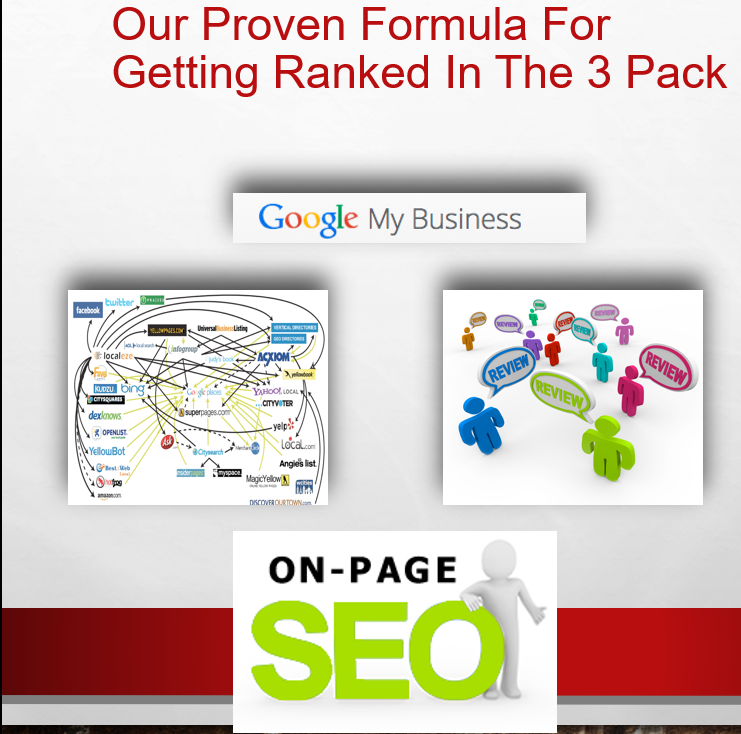 Reviews alone won’t help you to rank at the top unless you are in a very low competition area. It’s not uncommon for appliance repair companies that have a lower number of reviews to rank higher than their competition that may have 10 times the amount of reviews. Reviews are important, but they are just one piece of the Google Map ranking puzzle. If you find yourself in this situation where you have more reviews than your competition and even better reviews that them, then you may want to look into getting more citations. Citations and Reviews are the main things I want you to focus on, if you want to rank in the local map results. There are multiple things that you can do to rank in the Google Maps, but we like to simplify things. And if you ever heard of the 80 / 20 principle, then you know that 20 percent of your efforts give you 80 percent of the results. The first thing you want to do is go ahead and claim your Google Map listing if you haven’t already, then start getting citations. I’m going to give you some resources shortly to help automate getting your appliance repair business listed on these citation websites. If you’re a one-man operation, and you have more time on your hands then you can get these citations yourself and save some money. It’s nothing hard to do, but it can be time consuming because there are a lot of directory sites. Essentially all you have to do is create an account on each of these directory sites and input your company’s name, phone number, address, short description and your website. If you’ve ever watched any of our training videos or read any of our other blog posts in the past, you always hear us stress that reviews are going to become more and more important as we go forward. Consumers are starting to look at reviews first before calling an appliance repair company. So, you want to have reviews. You don’t necessarily have to have the most reviews to rank in that top 3 position, but you want to have some reviews because it helps consumers to make the decision to call your appliance repair company instead of your competition. The next thing is the on-page SEO for your appliance service website. Google is looking for an optimized appliance repair website that’s linked to your Google Map listing. Now that doesn’t mean you have to go out now and create a website if you don’t have one, because Google maps also gives you a free website. What you want to do is make sure that you have the name, address, and phone number listed on your website. Most companies will list that on the bottom of the website. If you choose the option of going with the Google maps website, you want to just list that somewhere in the about us section of the website and then that will take care of that optimization step. Make sure you have the login for you Google My Business account. Make sure your company name is your registered company name. Add your website address – This is getting a link from Google, which is probably one of the most authoritative links you could ever get. So by claiming your listing and doing some basic set up, you can get this important link, and that’s going to help you rank in the search engines, not just maps, but also in the organic search results. Then you want to use a local phone number, don’t use an 800 number for several reasons. Google is looking for that local number as well as consumers are looking for that local number.Most consumers don’t want to deal with a large nationwide company. They’re looking for that local company that’s close to them. 800 numbers normally communicates to them that it’s a big company and consumers will think that they have to pay more, or they may have to wait longer to get an appliance repair technician out to their home to fix their appliances. Consumers prefer to just call a local appliance repair company that’s close by and who won’t over charge them for appliance repairs. Add a local address. You can hide it if you are using your home address, but you still need to list it, so that Google knows where to show your listing. Upload Photos – as many as possible; pictures of the owner, technicians and all the staff members are also good ideas. You can also upload pictures of your office if you have one, tools or equipment, and your service vehicles. People connect and resonate with people. And you can leverage this to update your google map list and to make it better converting. List the different appliance repair services that you offer. 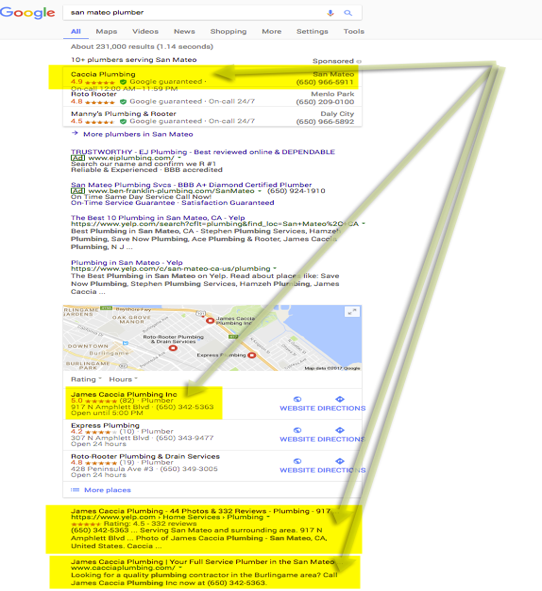 More is better when it comes to optimizing your google map listings. List multiple categories – Google My Business currently offers these categories for appliance repair companies: appliance repair service, refrigerator repair service, washer and dryer repair service, and microwave oven repair service. Add all these categories if you service all those appliances, because multiple categories will help your listing to rank for more searches which equals more appliance repair leads. Above is a screenshot of inside a google map listing. So, this is why it’s important to claim and get your login details, so you’ll have access to this information. This is in the insights section of the Google My Business listing and Google provides you with a lot more information than what you see in the image. That includes new keywords that you may want to target. The appliance repair keywords shown are actual keywords that people or consumers type in to find your listing. And if you’re doing any type of Search Engine Optimization or Pay Per Click Advertising, you can use those keywords to help you rank for additional keywords from those sources. In the red box, you will see that 71 visitors came to this website, and the listing generated 54 calls. Last year it used to be that if you could get your listing to rank in the 3 pack, for the main city within a county, then your listing would show up in the 3 pack for all the cities within that county, however things have changed this year with Google moving to a Mobile First Index. With map listings now and mobile devices being the main search tool for consumers, Google uses the GPS coordinates from a consumer’s phone to deliver a list of appliance repair companies in the map results that are closest to the consumer. So, this is another reason that if you were getting a lot appliance repair leads from google maps in the past and you’ve seen that leads have been reduced earlier this year, it’s all about proximity now. Google is delivering the appliance repair company results that are closest to the consumer. While some appliance repair company may have seen less leads from Google Maps, there are others that are starting to see leads that they haven’t seen before. Because of the proximity factor, their listings are now being shown more than they were shown before the Mobile First Index was introduced. You want to have the exact name, address, phone number, and use the exact format and spelling. For example, if you spell out the word Street for one citation, then best practice is to continue to spell out the word street for all citations, don’t get lazy and use ST as the abbreviation for street on some, because this will affect your rankings, or should I say lack of results in your ranking. Your Google Map listing rankings are sensitive to things like these, so its important to pick one format or spelling and do it for all your citations. It’s good practice to do a check to see how your company information is listed on all these different citation sources online. This way you can check for old or inaccurate data or in some cases you may even find duplicate listings, which you should either delete or if you find incorrect information you want to go ahead and update. 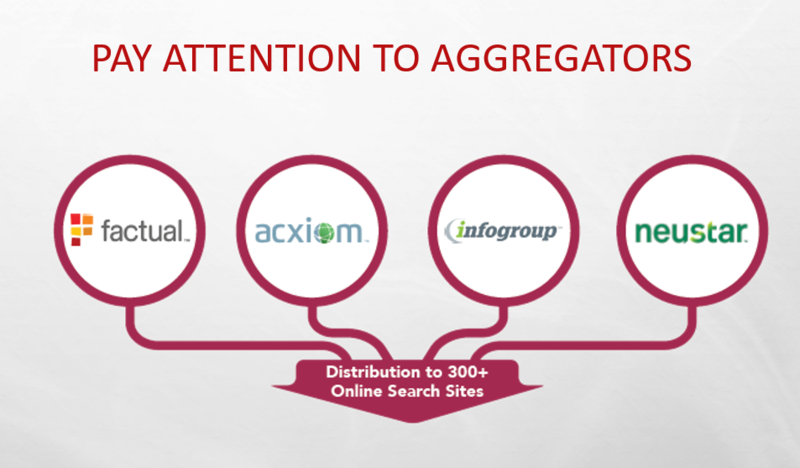 There are 4 big data aggregators: Factual, Axiom, Infogroup and Neustar. 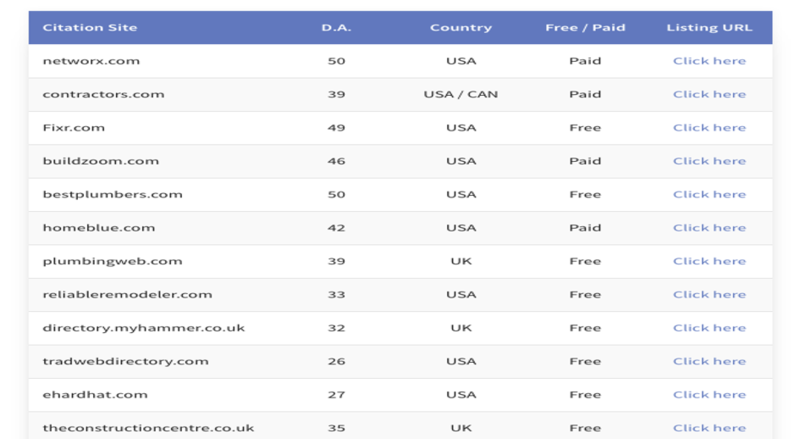 These companies distribute your business information to over 300 online directory sites. Now, let’s say you changed your business address and updated your yelp and yellow page listings. That doesn’t mean that these aggregators were updated as well. So, if you have inconsistencies, you want to actually go to these aggregator websites and also update your company information there, so that the aggregators can update all the websites that they provide information to. 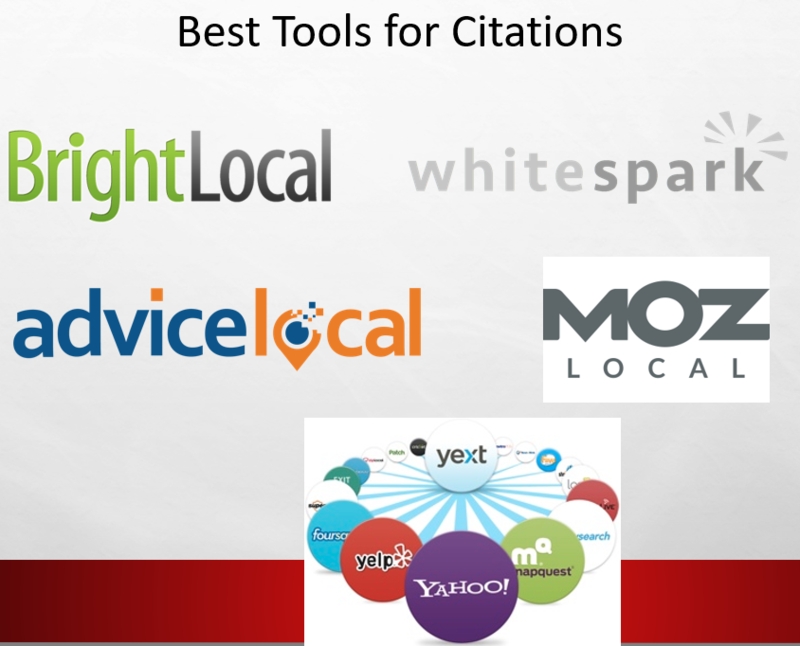 If you know that you are lacking some citations and you want to get started, getting some or adding additional ones, I wanted to provide you with some tools, so you can either do it manually or you can hire someone to do it. You can find the links to each of these services at the end of this article in the resources section. All these companies offer different packages to help you get more citations and update any inconsistencies, outdated or incorrect information about your business. Best Practices When It Comes To Citations. 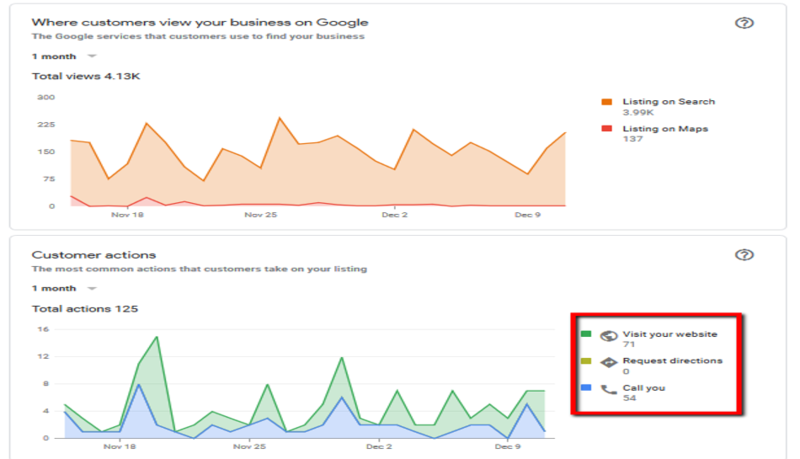 Manually claim and optimize your Google My Business listing. Fill out as much information as possible, try not to leave any section blank. If you have a promotion video for your company, you can upload that to your listing as well. Top Citations For The Service Industry. These are smaller citations when compared to Yellow Pages or Yelp, but these are focused more on the service industry. Unlike the larger citations, they bring something else to the table. Since these are more relevant to the appliance repair industry, these will provide an extra push to improve your website and Google Map rankings. If you want a list of some of the bigger citations sources, you can check out this page on how to establish a consistent NAP for your appliance repair Google My Business Listing. Get Customer Reviews And Lots Of Them! If you are not already getting reviews on a daily basis, I highly recommend that you start doing this. Your techs or other staff members should be asking for reviews after every service call. Implementing a strategy to get consistent reviews, will not just help with Google Maps, but they will also help with any type of online marketing. Good customer reviews send a signal to Google and consumers that you are a trusted company. I know getting reviews can sometimes be a tedious task and as an appliance repair business owner or manager, you already have a lot on your plate, from making sure every single phone call is answered to ordering parts. Consider getting printed review cards that your technicians could actually leave with the customer once they complete the repair. Train your techs to plant the seed and deliver a world class experience on every single service call so that the customer actually wants to leave a review, without the technician even asking. Have a staff member call each customer a few days after the service call is done, just to follow up with the customer that everything is working fine. Very few appliance repair companies do this and it’s a great way to stand out from your competitors, get a good review and to earn more referrals. Getting reviews should be part of your normal daily process, just like how it’s normal for the person answering the phone at your appliance repair company to tell the customer what service call fee is. If you’re a bigger operation and you want some tools to help automate the process, here are a few that you can use. The reason I’m giving you all these tools, instead of just recommending that you do it manually, is because if you can introduce automation in your business, then things will get done, 100% of the time. Usually if you have to leave it up to a person, they can be busier on some days that others and before you know it, 2 months went by and you have not gotten any new customer reviews. These are listed in any specific order as far as quality is concerned, so we just wanted to make sure that we gave you several options to choose from. Some you may have already heard of as they may have already solicited you in the past. 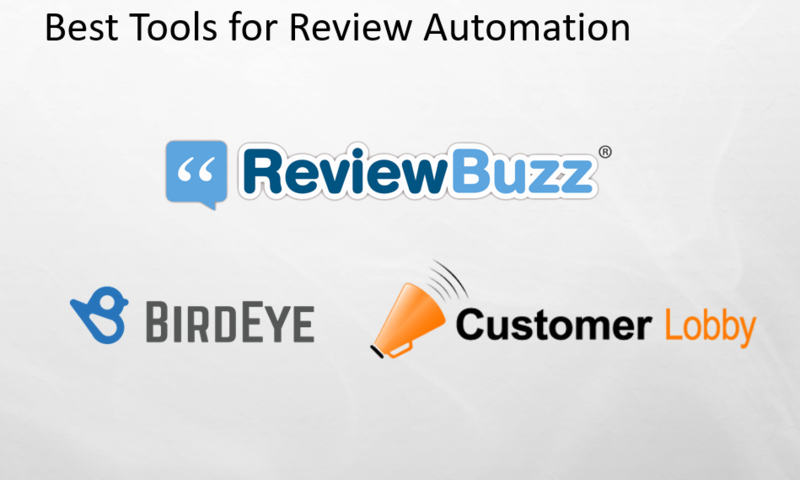 Any of these review services are great ways to make review automation a regular part of your business and that will do a lot of the heavy lifting for you because these services will do things like automatically sending an email to the customer or a text requesting the review once a service call is completed, all happening with very little human intervention, once everything is set up. Service Titan is for larger appliance repair operations that helps with managing service calls and it now integrates with these review automation companies. So once Service Titan is updated with the service call, it will automatically trigger these other software to go ahead and start the review collection process. 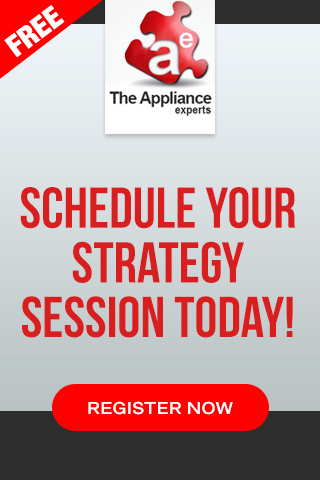 If you would like to have our team take a look at your current online marketing Strategy and let you know where there may be room for improvement and discuss the possibility of working together to make 2019 your best year ever in the appliance service industry and finally get your appliance repair lead generation right. Then schedule your FREE online marketing evaluation now. Does Your Receptionist In Your Appliance Repair Company Rocks At Sales? Enter your name and email and get this ebook... it's FREE! 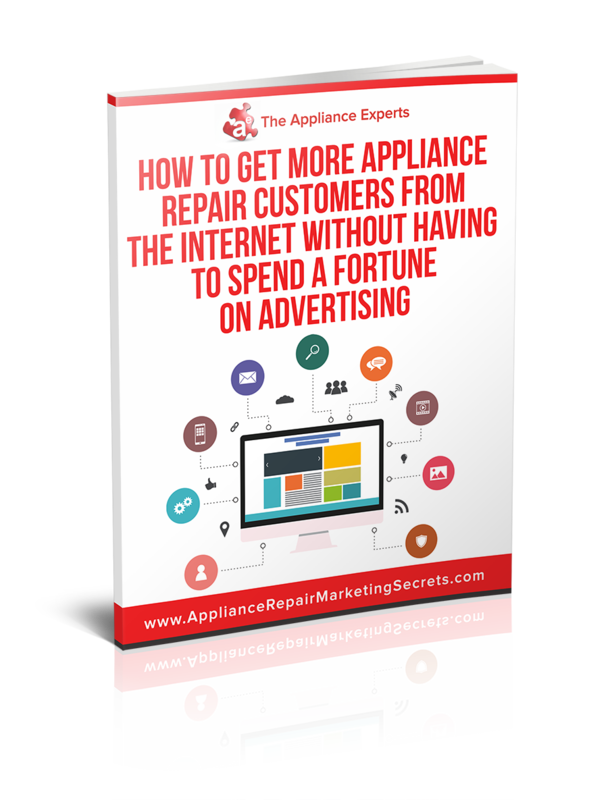 How To Get More Appliance Repair Customers From The Internet Without Spending A Fortune On Advertising!